DaVita Port St. John at Titus Landing 3rd Floor – RUSH, Inc. Owner: DaVita Healthcare Partners d/b/a Total Renal Care, Inc. 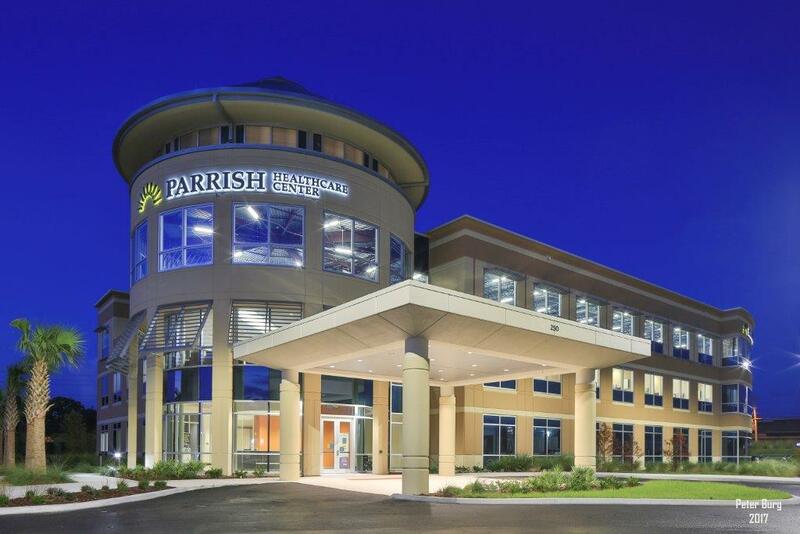 RUSH Construction (RUSH) served as the general contractor for the interior build-out of a portion of the Parrish Healthcare Medical Office Building at Titus Landing (also constructed by RUSH). 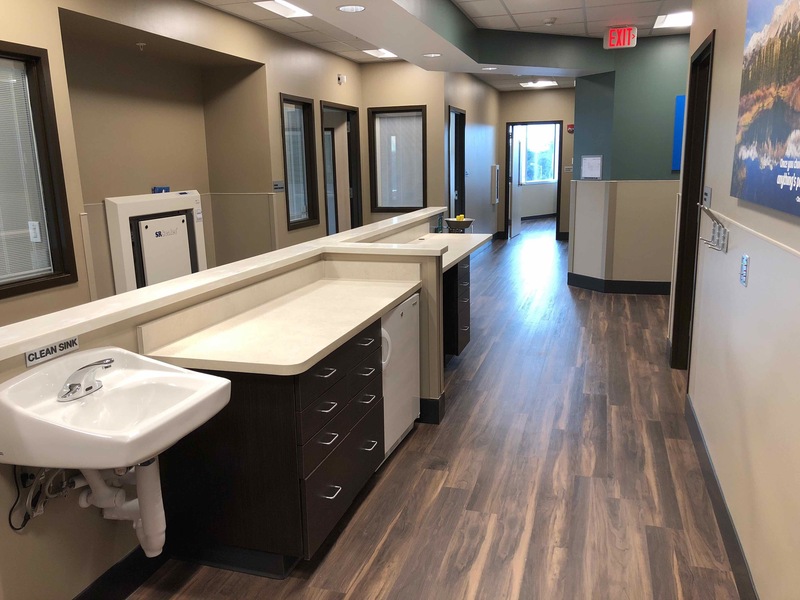 The new facility is a Home Hemodialysis clinic where patients and their healthcare partners typically receive 3 to 5 weeks of training by a Home Dialysis training nurse. This then allows the patients to perform dialysis in the comfort and privacy of their own home. 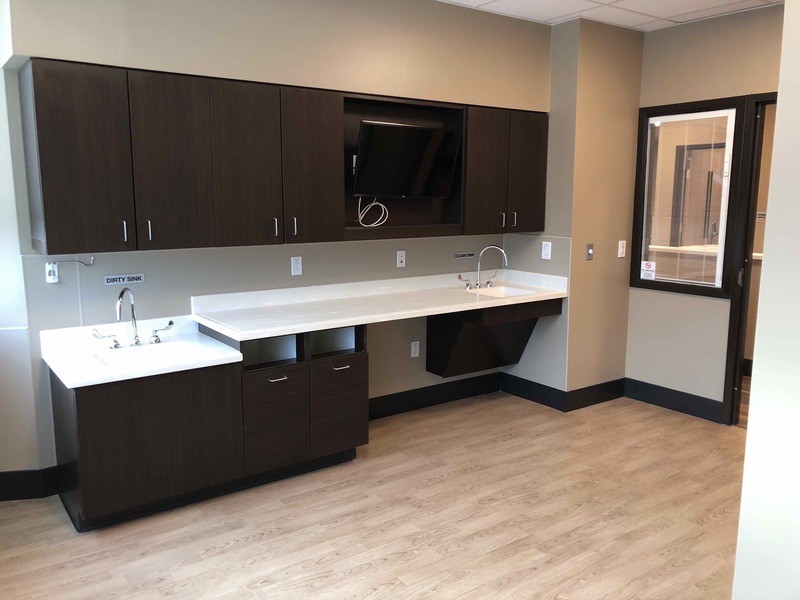 The new clinic has 2 treatment rooms, administrative and business offices, a lounge and a waiting area, with a custom paneling product adds the visually appealing appearance of cypress paneling while using a more readily renewable resource like southern pine and helping to avoid overharvesting of cypress in wetlands. Jeremy S. Bradford, Parrish Medical Center, Sr. Vice President -Operations and President – North Brevard Medical Support, Inc.